Who is Jesus? And what is my relationship with him? The lesson today is on the true identity of Jesus Christ. 1 In Class with the Master Teacher, Lesson One. In Class with the Master Teacher, Lesson One. The title of the message this morning is this: In Class with the Master Teacher, Lesson One.” You know, there comes a time in life when you have to make a decision about someone. Who is Jesus and what my relationship with him? That’s what I want to talk about this morning. Before you leave today, you will know who Jesus is, what he came to do so that you will avoid the pitfalls that people fall into in order to understand the true identity of the Lord Jesus Christ. If you have your Bibles, turn with me to Mark 8:27. The way you answer this question will determine where you spend eternity. Who is Jesus? Let me give you three progressions in the text. First of all, we’re going to see a quiz about His person. Secondly, we’re going to see a lesson about His plan. And, thirdly, we’re going to see a rebuke about His purpose. Look at the first one. A quiz about His person. What’s interesting is Jesus is taking the disciples to show them his true identity on a field trip. I mean, he takes them on an object lesson north to Caesarea Philippi. Now, this journey is about 25 miles north of the town of Bethsaida. He takes the disciples on foot. You can imagine. It probably took them all day to make this journey. And when they get there, they’re trying to figure out why in the world are they going to Caesarea Philippi? See, Caesarea Philippi was a pagan town. It was ruled by the false God Pan. Are you familiar with Pan? Pan, half man half goat, ruled this area. In fact, there was a sanctuary devoted exclusively to Pan. And what people would do is they would go there for the fertility god. They would kill animals, sacrifice it unto Pan, throw it into the water. See, in Caesarea Philippi, if you’ve ever been there, three different water ways from the Jordan come together to produce this gushing pool of water. And what they would do is they’d throw their animals in there. If you go to Pan in the mountainside, you will see false gods and false deities all over the place. I imagine when Jesus is walking with the disciples, they were saying to themselves, “Why in the world are we going here?” You see, Caesarea Philippi was the equivalent of Bourbon Street. “We’ve never been allowed to go here before. Are we going where I think we’re going? Why are we going here?” Jesus is taking these guys to the pagan capital of Israel at that time to teach them an important lesson. The first one I thought interesting is John the Baptist. If you remember just a few chapters earlier in Mark 6, Herod Antipas actually makes this claim. He thought that the one he killed, John the Baptist, had actually come back from the dead. He thought Jesus was John the Baptist. But then some people thought he was Elijah. I have to submit to you, there’s no other figure in the Old Testament more interesting than Elijah, right? Not just because of what he did, but because of what was done to him. In 2 Kings 2:11 it says that Elijah was translated from this world to heaven in bodily form. Do you remember that? I mean, he didn’t die. He just went from this world to heaven immediately. And then they say He might be one of the prophets. Jesus could be one of the prophets. Now, they’re not saying he’s a new prophet. They’re actually classifying Him with one of the prophets from the Old Testament. You have to admit, though, comparing Jesus with John the Baptist, Elijah, and one of the prophets is a pretty big honor, right? But don’t miss this. It’s not an honor. In fact, it fades in comparison to his true identity. To see Jesus as anything other than God in the flesh, the one from God, the second person of the Trinity, the Messiah on a mission from God is to have an inadequate assumption of who Jesus is. Now, don’t miss this. Peter’s not giving Jesus a new last name. He’s not saying He’s Jesus Christ like my name is Robby Gallaty. In fact, he’s saying this is the title. See, the New Testament word Christ is equivalent to the Old Testament word messiah. It means anointed one. It means the one that is sent by God. This is the promised one that Israel has been waiting for. I mean, this is an incredible response, you have to admit. I mean, Peter speaks up and says, “You are the Christ!” Up to this point, only God at Jesus’ baptism and the demons were able to recognize Jesus’ true identity. See, this is a turning point in the book of Mark. If you want to divide the book of Mark into two sections, this is the end of the first section, and this is the turning point. 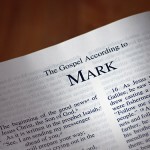 This is not only the turning point in the book of Mark, this is a turning point in the life of the disciples. See, they move now from spectators to participators. Friends, I want you to understand. The same goes for you. There has to be a turning point in your life when you see Jesus for who He is and what He came to do. False religions all center around a misunderstanding of who Jesus is. Did you know that? Every false religion has a misunderstanding of who the Lord Jesus is. But the question is not what those people say about Jesus. Come in real close. Who do you think Jesus is? See, your answer to this question hinges on eternity for you. It will determine where you spend the rest of your life. See, it’s not your mother’s faith. It’s not your father’s faith. It’s not your children’s faith, as good as that is. It’s not your grandmother’s faith or your grandfather’s faith. The way you own this question hinges on your eternity. Not only does Jesus give them a quiz about His person, that’s the first thing, a quiz about His person, secondly He gives them a lesson about His plan. Look what it says in the text. Jesus says, “the Son of Man must suffer [verse 31] many things and be rejected by the elders and the chief priests and the scribes and be killed, and after three days rise again. And he said this plainly.” Before Jesus journeys to Jerusalem—church, don’t miss this—this is the last the teaching before he makes his way Jerusalem. The text says he turns his face to Jerusalem. This is the last teaching and He’s teaching these guys about His true identity. If you’re one of the 12 in the first century, you’re expecting Jesus to say this about his plan. Here it is, “I have come to take the oppression given against us and we’re going to turn it around and we’re going to oppress the ones who oppressed us. Yes! We’re going to restore Israel—yes! We’re going to bring back the power of the world to the Jews—yes! We’re going to destroy the Gentiles—yes! We’re going to take over the world—yes!” That’s what you expect Jesus to say. But notice what He says. “I’m going to suffer. I’m going to be rejected. I’m even going to be killed and then on the third day, I will rise again.” The key word here is the word must. Underline that word must. Jesus says, “I must.” This is not a casual coincidence here. When Jesus says the word must, it is inevitable. It is ordained by God. What He’s saying is suffering, rejection, and death are all in the plan of God. Now the suffering, of course, was at the hands of the religious leaders. Look at the three different groups here. The first group are the elders. These are the leaders of the church at that point. The second group are the priests, the chief priests. This is equivalent to a pastor today. They got their work or employment and were paid by the temple for their service unto God. And then the last group there, look at it, were the scribes. These are the theologians. These are the Bible scholars of the day. Collectively these three groups—get this—make up the Sanhedrin, the ruling and authoritative group over Israel. They will be the ones who, first of all, reject Jesus. Then, secondly, He will die. But notice the one I missed: suffering. See, suffering and Christ don’t go together. I mean, it’s like an oxymoron. Christ as Messiah and suffering don’t belong in the same sentence. It would be like me saying you are the losing most valuable player. It would be like me saying you are a below average all-star. It just doesn’t go together. And that’s why Peter’s starting to say, “Jesus, I don’t think you get what’s going on here. You’re saying the Messiah is going to suffer. Jesus, what are you talking about? I mean, we don’t understand that vocabulary.” In fact, I would submit to you the only text that has any indication that the Messiah may suffer is what? The only one—Isaiah 53. 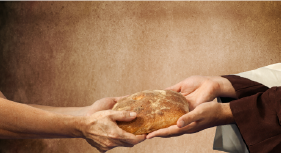 But I want to submit to you in the first century the Jews did not connect the dots with the Messiah being the suffering servant of Isaiah 53. They didn’t grab that concept yet. So the idea of a Messiah that would come and suffer is unheard of. The New American Standard says, “But the Lord was pleased crush His Son, putting Him to grief.” Why? See, the cross was the means for salvation for the world. If Jesus in the first century would have restored the Jews to control world, redeem his people, and put them as the political power over all the world, none of us would be included in that kingdom, right? Think about it. None of us. Nobody years after as well. And so what an incredible thing that God did in His infinite wisdom. See, one of our problems with understanding the true identity of Jesus, I’m convinced, is getting rid of these preconceived notions as to who we think Jesus should be and who we think Jesus is. One commentator, Philip Schaff, says it this way, “The paradox of Jesus is that the Jesus of Nazareth without money or arms conquered more millions than Alexander, Caesar, Mohammed, and Napoleon combined. Without science, He shed more light on things human and divine than all the philosophers and scholars of the world. Without the eloquence of schools, He spoke such words of life as never were spoken before or since or produced affects which lie beyond the reach of an orator or a poet. Without writing a single line, He set more pens into motion and furnished themes for more sermons, orations, discussions, learned volumes, works of art, and songs of praise than the whole army of great men and women of ancient and modern times.” See, Jesus had to correct the disciples misunderstanding of who He is through a lesson about His plan. Here’s the question. Why is Peter doing this? I mean, think about it. Peter, like many of the disciples, was zealous. You’re familiar with the Zealot movement? The Zealots were people who wanted to restore a political power in Israel. They wanted Israel to control the world by force. In fact, one of the disciples’ names includes zealot. Who was it? Simon the Zealot. I believe Judas Iscariot was a Zealot. I believe James and John were Zealots. You know why? Jesus called them the sons of what? Thunder. Peter was a Zealot. Even in the garden, Peter still thinks it’s game on. He’s still trying to control over Rome. He’s cutting ears off of guys. They all had this mindset that the Messiah would come and overthrow the government and control the whole world. And so Peter takes Jesus aside and says, “Jesus, I don’t think you truly understand the role of the Messiah. Let me educate you, Jesus, a little bit. I think you have a misunderstanding.” Maybe Peter thought that Jesus didn’t read the history books. Maybe Peter thought Jesus didn’t hear the Old Testament prophets. But what Jesus is about to tell Peter is, “Not only did I hear the history books, Peter, I wrote the history books. And not only did I listen to the prophets, I spoke through the prophets.” The word there is rebuke. It’s a strong word. Peter actually—can you imagine—rebukes our Lord. That word rebuke is another word for scorn. It’s another word for warn. It’s another word for punish. It’s the same word that Jesus uses to rebuke the demons and Peter rebukes the Lord. A first century Jewish historian wrote a Targum about this. Listen to what he says about the Messiah. This is what Peter would have known. “How fine is the King, the Messiah, who will arise from those of the house of Judah. He girds His loins and goes forth and sets the ranks of battle against the enemies and kills the kings together will all the commanders. He reddens with mountains with the blood of their slain and His garments are dipped in blood.” That’s the description of the Messiah. Peter has a misunderstanding. He goes from the straight A+ student to a drop-out in one sentence. I mean, Peter, how do you miss it? In one section you get it right and then a few moments later, you miss it. How is that? Walter Wink did a study on the apostles psychologically and basically what he found was this: that people sometimes have a condition based on their culture. This is what he believes, that we sometimes will see things based on the environment we were raised in. There was a study done with a stereo optical contraption. I don’t know if you’ve ever seen one of these before. It’s a device you put over your eyes and it’s divided in the middle. On one side in one eye you see a particular image. On the other side you see another image but they’re two different images simultaneously. And what they do is they flash these before you and then they ask you, what did you see? Listen to his findings: “When a picture of a baseball player was flashed on one eye and a bullfighter was flashed on the other eye, Mexican’s reported seeing the bullfighter. North American’s reported seeing the baseball player. We tend to see what we’re trained to see, not what is there. Participants only saw what was familiar to their environment.” And you know what? We operate the same way. We have these preconceived notions, these presuppositions as to who we think Jesus is and what we think Jesus can do and so we put Him in a box. We paint this nice picture of Jesus, who we want Him to be. We act and respond to the way we do that. Many people come to Christ with their own personal agenda. You ever seen anybody like this? When you come to Jesus, you have your own plans and your own ideas and your own notions as to who he should be. C.S. Lewis said it best, “There are only three options to choose as to label Jesus. He’s either the Lord of Lords, He’s either a liar, or He’s a lunatic.” It’s called the trilemma. I don’t know if you’ve heard of this before, but C.S. Lewis writes about it in Mere Christianity. Let’s take all three. Some people will actually say that Jesus Christ is a liar—that Jesus wasn’t really the Messiah, that He just went around lying. He acted like he was God but he was not really God. That when he said things like this in John 14:9, “Anyone who has seen me has seen the Father. How can you say, ‘Show us the Father?’ I am the Father.” When he said something like this in John 10:30, “‘I and the Father are [what] one.’ And then they picked up stones and began to stone Him.” Jesus claimed to be God, I want to submit to you this morning, and He was not a liar. In fact, one of the observations about who Jesus was was that he was a prophet. John the Baptist was a prophet. Elijah was a prophet. They even said he was one of the prophets. In order to be a prophet, you have to tell the what? Truth. If you don’t tell the truth, you’re not a true prophet. You’re a false prophet and if you’re a false prophet, you’re stoned to death for lying. Jesus Christ was not a false prophet. He was a true prophet and everything he said about himself was 100% absolutely true. I believe if Jesus was lying, if he was, the moment the Romans started to flog him in the back, he would have said, “Okay! I’m just kidding. This whole thing’s a joke.” I believe if Jesus was lying, the moment they put the cross on his back, he would have said, “I’m just kidding. I made the whole thing up.” Friends, he’s not lying. Jesus is telling the truth. Which brings us to the second observation, is Jesus a lunatic? Some people actually think Jesus was out of his mind, he was a madman. He had, if you will, the Messiah Complex, right? He thought he was the Messiah but he really wasn’t the Messiah. That when he said things like this in John 14:6, “I am the way, the truth, and the life. No one comes to the Father except by Me,” he wasn’t really saying that. He didn’t know what he was talking about. When Jesus said, “Before Abraham, I am,” Jesus didn’t know what he was talking about. N.T. Wright gave us some interesting insight here. 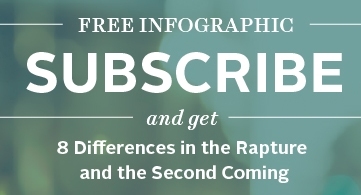 N. T. Wright says, “One hundred years before Jesus and one hundred years after Jesus, there were 10 to 12 messiahs who rose up in Israel….” Did you know that? Within two hundred years—100 before and 100 after Jesus—there were 10 to 12 guys who rose up and claimed to be the messiah. One of them was found in Acts 5. His name was Judas the Galilean. Do you remember him? It talked about this man—look it up—who rose up and revolted against Israel. He was a messiah in his own mind. But the problem with those messiahs was this: after those men died, and they all did, the movement ended. Everyone who lived and made it through alive without getting destroyed by the government went back to their homes, assumed a normal way of life and the movement ended. But Jesus, after he died, rose three days later and his movement just began. In fact, it just started to gain steam and it grew and grew and look at today. It’s still here today. I think the most convincing evidence to prove that Jesus Christ as not a lunatic was not just the life and death of Jesus but the life and death of the apostles. Friends, I think it’s pretty convincing evidence to think that the 11 men who came after Jesus all died except one for the faith they believed in. It’s one thing to live for Jesus. It’s another thing to die for the faith you live for. Friends, I come to the final question. We know He’s not a liar. We know He’s not a lunatic. So the answer is he’s what? He’s the Lord. Jesus is one with the Father. He’s the second person of the Trinity. He’s the Way, the Truth, and the Life. He’s the Resurrection from the dead. He’s the Alpha and He’s the Omega. He’s the Beginning and the End. He’s our only hope for eternal life. He’s the redemption on the cross for all salvation. And if Jesus Christ is who He says He is and He’s Lord then you and I have no other option than to do one thing and here it is. If Jesus is Lord, then you and I must submit to Him as Lord. You know what that means? That means you’ve got to stop living the way you want to live. It means you’ve got to stop doing what you want to do. It means you’ve got to put your personal agenda aside and get on God’s game plan and say, “God, I’m going to submit to You and make You Lord of my life.” Have you done that? See, the way you answer this question, “Who do you say that I am,” when Jesus asks it determines your eternal future. And I know in a room this size there are some who would say, “Pastor, I don’t think I’ve ever looked at Jesus as Lord, as the Messiah, as the one sent by God, the Second Person of the Trinity, the only one who can forgive my sins. I don’t think I’ve ever done that.” I think this morning is a great opportunity for you to do that. If you’ve never repented of your sins, turned from sin in your life, and put your belief in God through Christ, then I want to give you an opportunity to do that. If you’re joining us here or if you’re at home or maybe at the Gathering Service at the BX, have you done that? Have you made Jesus Lord of your life? There are two people in this group. There are those who are unbelievers who say, “Today I want to make him Lord and Savior.” There are believers who are saying, “I know he’s Lord but I haven’t made him Lord of my life and so I need to repent and I need to serve him.” Friends, I don’t think you can come to Jesus as Savior without making him Lord, period. In fact, his very name means is Savior and Lord. So maybe you might be an unbeliever this morning because you’ve never made him Lord.